GRAND MAGIX is one of the two well documented truly massive shows of NWSI. 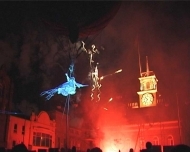 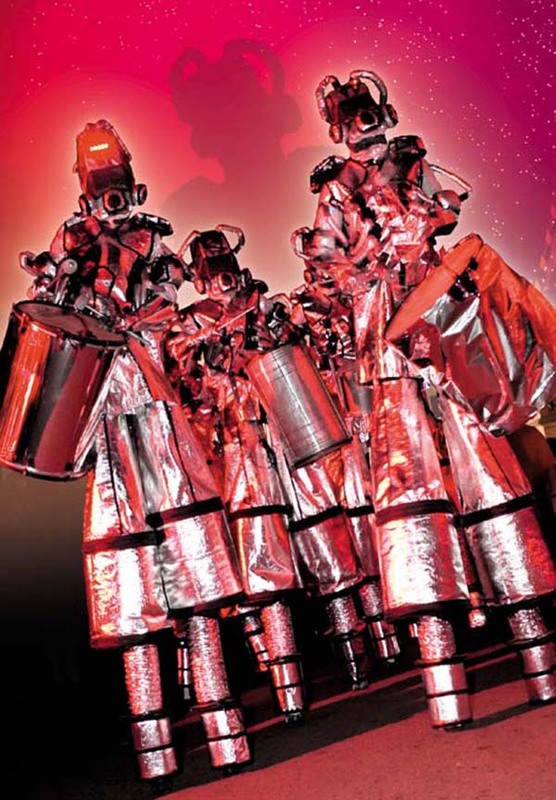 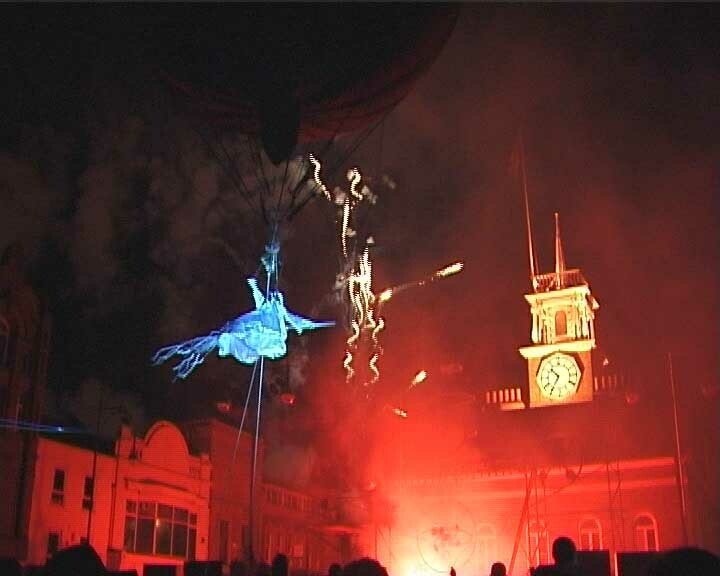 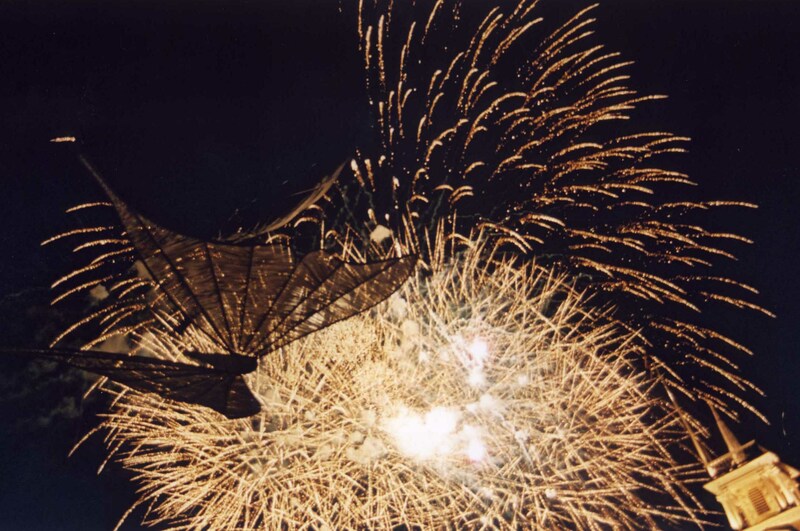 It is a tour de force of aerial helium suspended performance, aerial puppetry, stilt ensemble drumming, specialist fireworks, giant inflatable puppetry special effects leading to the great musical and emotional cadence of the giant aerial light show moon moth. 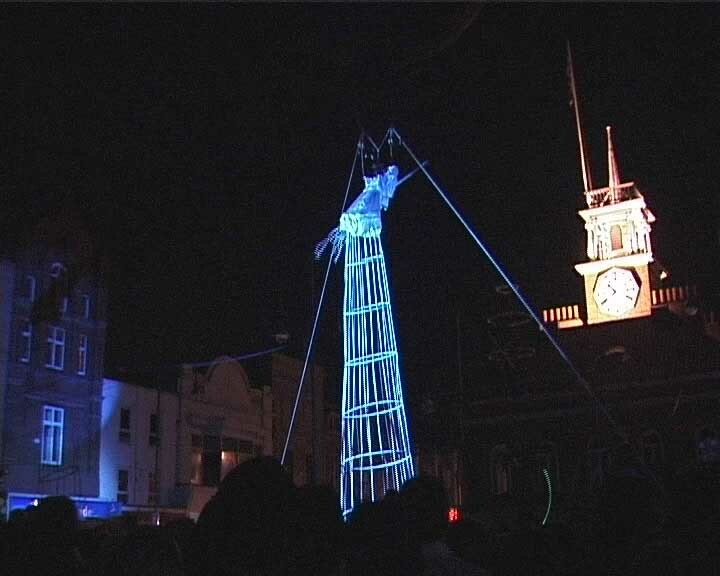 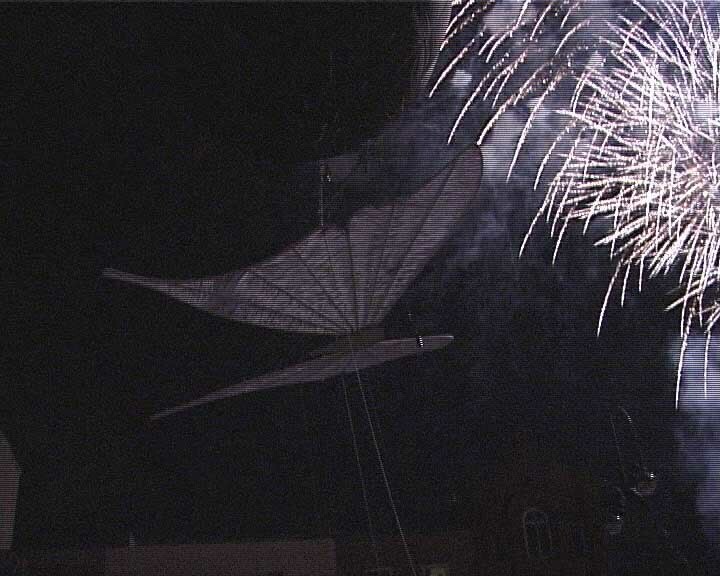 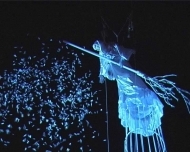 In essence it is an artistic celebration of nature versus technology 2001 Fiona Ellis in Northern Review event of the month rated Grand Magix, the NWSI finale of the Stockton international Riverside Festival, top equal with Robert Lapage’s Dark Side of the Moon. 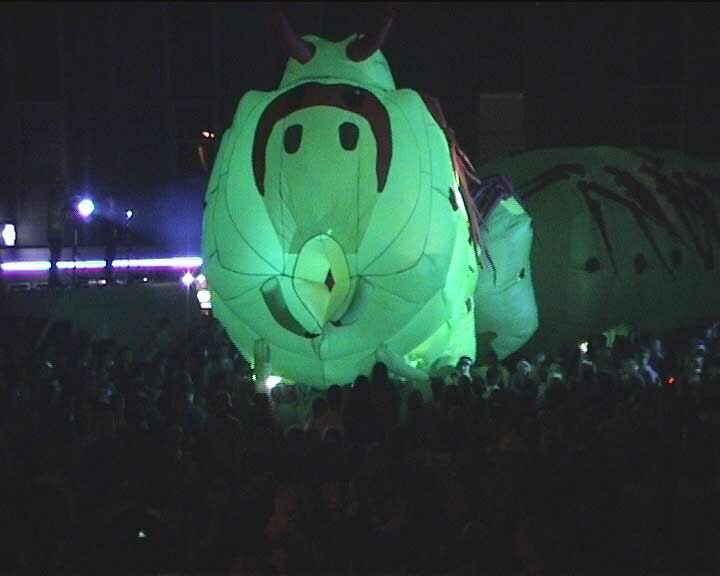 At Site 2 the female nature magician, Morgana, conjures the Caterpillar, a monster of nature, which drives back the robots and circles through the audience in the square to a jazz theme. 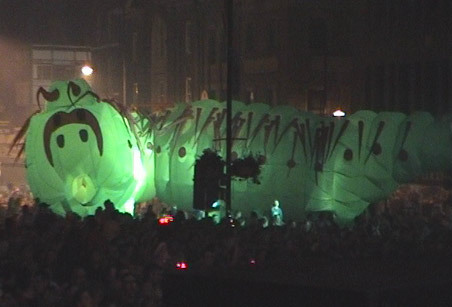 The techno Magician responds, with a many wheeled firework machine driving the Caterpillar away. 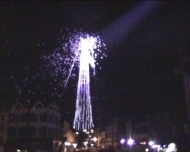 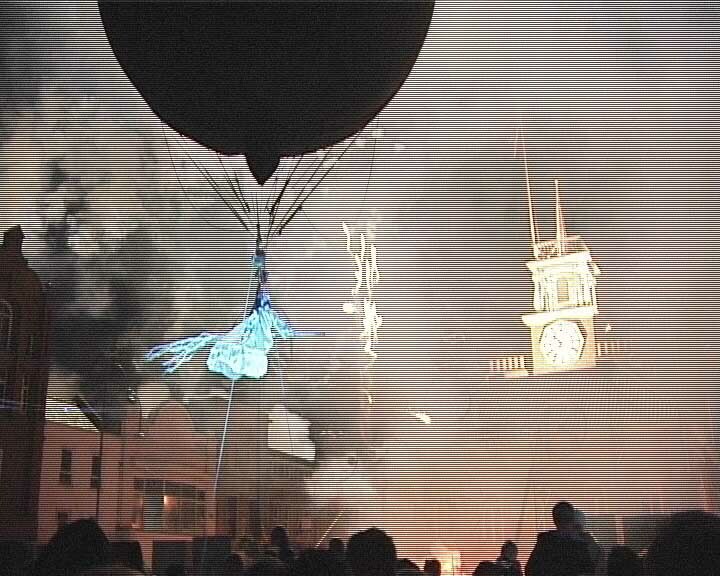 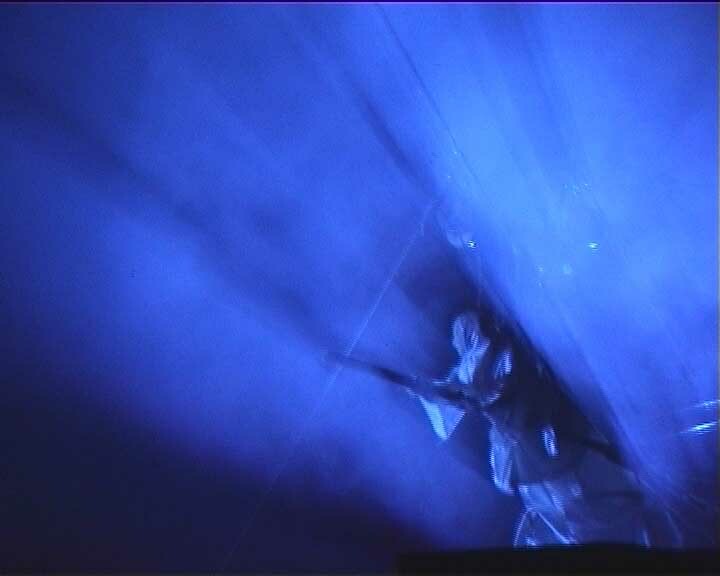 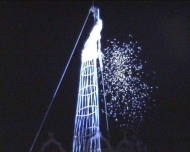 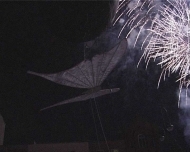 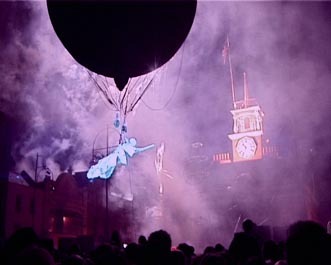 A flying Morgana suspended from a helium balloon swoops on Merlin, circles the square and casts aerial pyrotechnic spells. 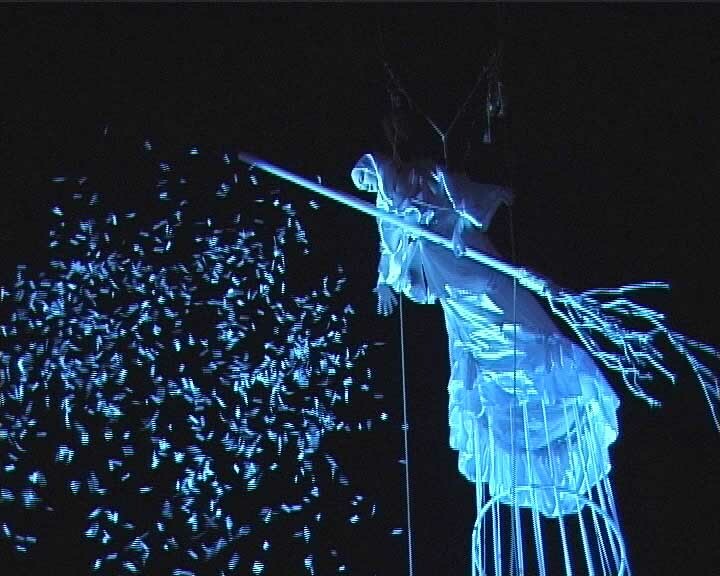 She descends to the ground, puts on her magic extending dress and rises releasing a host of color changing moths. 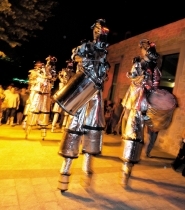 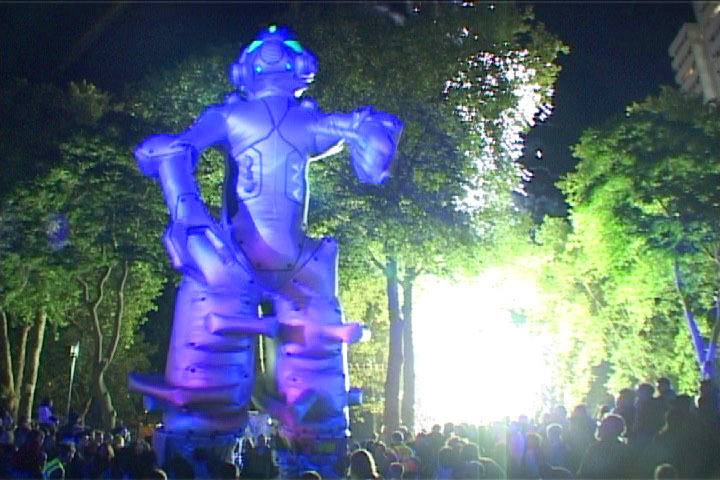 The techno magician responds with the Giant (forty foot) robot. 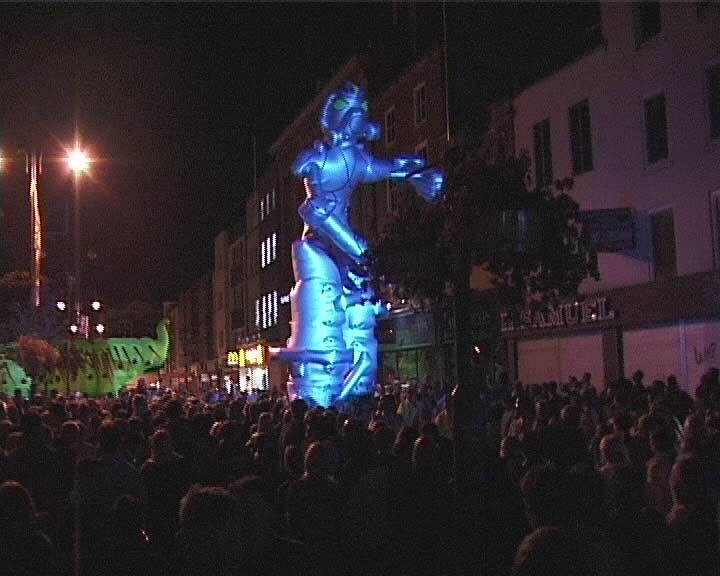 The Magicians reappear as forty foot giants. At first there is a stand off and then, reconciled, they dance with each other and cast a collaborative double spell that conjures up the giant white moon moth. 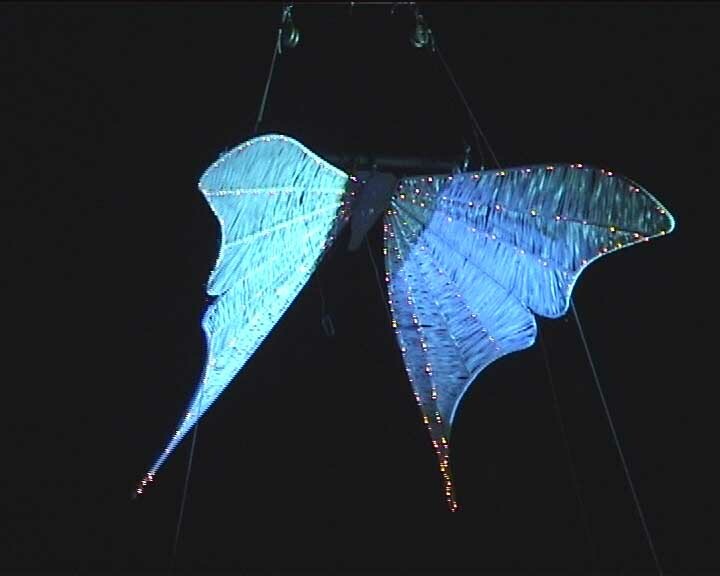 To the sound of Barba’s adagio it floats over the heads of the audience before being transformed into a kinetic aerial light show.